History offers us a captivating view into the social beginnings of coffee; atmospheres we evoke through the rich, complex flavours of our new coffee blends. According to spoken traditions, coffee was introduced to Istanbul in the 16th century. It is believed that the beans originated from Yemen, to then be blended with East Indies and Indian coffees. People would taste and enjoy the exotic character of this coffee blend in the historical coffee houses. They attended those lively places to immerse themselves in a captivating atmosphere full of energy, mingle with others, talk about politics and play backgammon. Have a taste of this historical era by enjoying a cup of Café İstanbul. Reminiscent of the rich melting pot and mystery of the oriental bazaar. Legends say that in the 18th century Venice was the entry port of coffee into Western Europe. Coming from the ancient Ethiopian region of Harrar, coffee would be mixed with Indian Arabica before landing in the Italian city. People would go to coffee houses to taste this exotic perfume of the East. They would enjoy the creative energy of those social places, listening to music, talking about literature and meeting with artists and intellectuals. It’s also been told that Piazza San Marco in Venice hosts some well settled coffee houses, of which some became famous and are still operating. Caffè Venezia encapsulates the spirit of this era, so why not travel back in time and have a sip of this creative atmosphere? If you’re changing tack, try this coffee as a latte macchiato. You’ll still catch the spicy notes and all of Café İstanbul intensity. This Arabica Robusta blend makes a great coffee with milk. 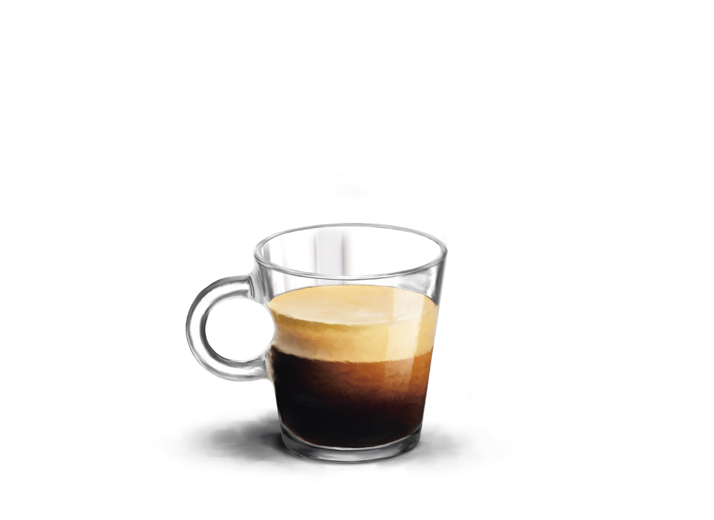 If you like milk and coffee, try Caffè Venezia with milk froth to make a cappuccino. You’ll find all the delicate floral and fruity notes shining through this cup of coffee with milk. You instinctively want to slip your finger around the glass, cradle it in your hand and feel the warmth of your coffee based recipe through the dense glass. The VIEW collection fits into your hand, and into your life. Set of 2 Cappuccino cups (ca. 180ml) in tempered glass and 2 saucers in stainless steel (18/10) with a shiny and brushed finish. Both cups and saucers are dishwasher safe. The VIEW Collection saucers are made of stainless steel 18/10, a very durable material, but sensitive to scratching. The saucers are dishwasher safe but are not suitable for microwave and oven use. When washing the saucers by hand, do not use an abrasive sponge and wipe the surface completely with a dry towel to avoid water stains. You instinctively want to slip your finger through the loop of the cup’s handle, cradle it in your hand and feel the warmth of the coffee through the dense glass. The VIEW collection fits into your hand, and into your life. Set of 2 Lungo cups (ca. 180ml) in tempered glass and 2 saucers in stainless steel (18/10) with a shiny and brushed finish. Both cups and saucers are dishwasher safe. The VIEW Collection saucers are made of stainless steel 18/10, a very durable material, but sensitive to scratching. The saucers are dishwasher safe but are not suitable for microwave and oven use. When washing the saucers by hand, do not use an abrasive sponge and wipe the surface completely with a dry towel to avoid water stains. 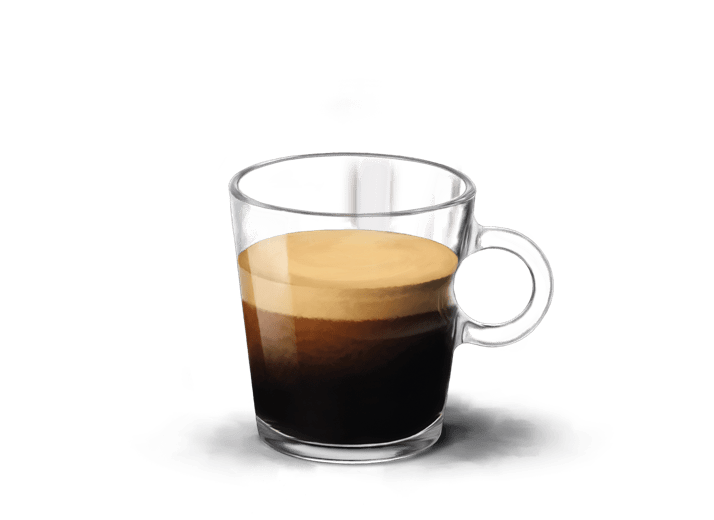 You instinctively want to slip your finger through the loop of the cup’s handle, cradle it in your hand and feel the warmth of the coffee through the dense glass. The VIEW collection fits into your hand, and into your life. Set of 2 Espresso cups (ca. 80ml) in tempered glass and 2 saucers in stainless steel (18/10) with a shiny and brushed finish. Both cups and saucers are dishwasher safe. The VIEW Collection saucers are made of stainless steel 18/10, a very durable material, but sensitive to scratching. The saucers are dishwasher safe but are not suitable for microwave and oven use. When washing the saucers by hand, do not use an abrasive sponge and wipe the surface completely with a dry towel to avoid water stains.